ADC launches a new measurement technique for the non destructive measurement of chlorophyll content in small, difficult to measure samples. 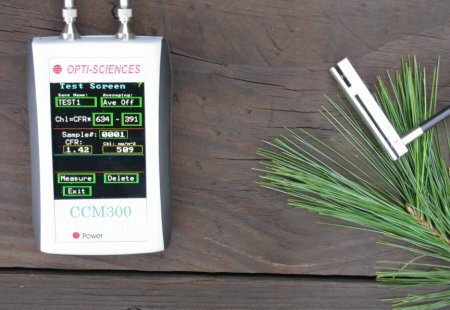 For the first time, the CCM300 will enable ADC customers to quickly and easily measure the chlorophyll content of fruit skins, conifer needles, cactus, lichens and bryophytes, immature rice, turf grass, in situ algae and some aquatic plants. For further details, see our plant science product page.